One of the hardest things for investors to focus on is the long-term. Instead, investors are very focused on the day/week/month/quarter, etc. It is a "what have you done for me lately" outlook to investing. Looking at the table below, which numbers draw the attention? Naturally it is the short-term losses of the international asset classes. None of us are really investing for quick profits, or to avoid temporary losses in these asset classes are we? Instead, we only invest those dollars we don't currently need in order to capture the long-term returns from business growth (across all asset classes). In the short-term, sometimes those returns are realized in the U.S. stock market, and at times in emerging markets, and at others in bonds. Investors just don't seem to focus on the long-term returns. How do you define investment success? If it is by always beating the market, never losing money, or by always picking winning investments, then not only are you in for disappointment, you are actually setting yourself up for poor long-term returns. Why? Because the desire to outperform results in investors over-paying for the false hope bottled by the investment sales industry. Or, the desire to outperform results in investors tinkering with the portfolios in a way that hurts performance. Investment success is not about a quick profit (that is gambling); instead is about obtaining the highest long-term expected returns by managing investments based upon disciplined rules. Discipline does not involve reacting to news, feelings/hunches, or equations. I don't need to be happy with my portfolio returns each day. In fact, I don't even care which assets classes are doing well and which are not right now. I only care that I have built a portfolio with a high chance of a successful outcome in the long-term. How that is done is a topic for another newsletter. My well built portfolio is made up of a variety of moving parts (i.e., asset classes) - U.S. stocks, international value stocks, emerging markets, global bonds, investment grade bonds, cash, etc. These parts are moving in different directions at the same time. Think of these asset classes as bouncing super balls in an elevator. 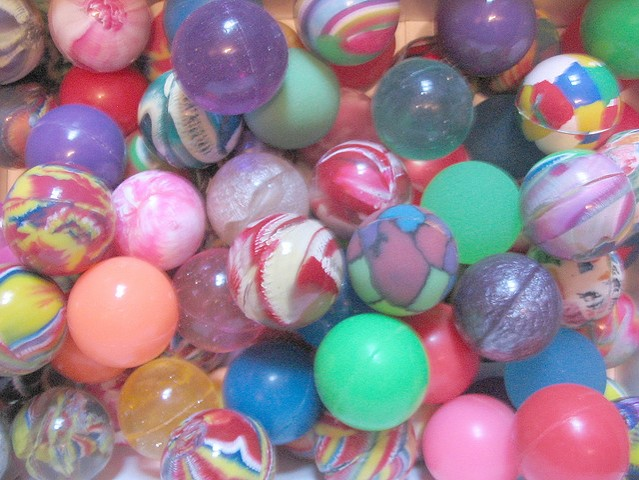 At any one moment, there is no predicting which way each ball will bounce. If you are in the elevator moving up, all you see and feel is chaos in that elevator. However, YOU and your elevator car (which represents your entire portfolio) are still moving up over time. Yes, you will feel the chaos of the balls bouncing, and you will even stop at different floors on your way up. However, in the long-run, you know you will reach the top! What is amazing is that almost all investors have their eyes on the bouncing balls and never on the top floor of the building. Which Bouncing Ball is Dropping? In case you still like to know which ball is dropping in your elevator right now, as shown in the table below, it is emerging markets. They are getting hammered. Emerging markets are the most volatile ball in our elevator. Therefore, their recent performance is of no surprise. In fact, from a diversification standpoint, the volatility is actually a good thing - for the disciplined investor who buys up shares when the asset class is dropping and selling when the asset class is doing well.